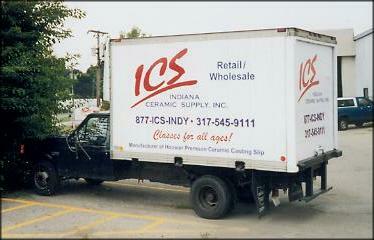 This is a history of Indiana Ceramic Supply (ICS). It is not meant to inspire you to pursue a career in the ceramics business either as a supply or as a ceramic shop. The continuing story of ICS and ceramics in general has been rather discouraging in recent years. Looking at the business as a whole, I would never recommend that a person get into ceramics. But if you are interested in ceramics, this history may help you see some of the difficulties we have experienced along the way. Not all is bad. Good customers always make you feel good. I just wish we could make a living doing those things we love and helping others achieve their artistic potential in ceramics. ICS was started by Barbara and Dan Gould of Ft. Wayne, Indiana in 1968. Barbara was an accomplished ceramics designer and the ceramics industry was very prolific, still heading to its zenith of popularity. There was a need for a local supplier of ceramic materials because many individual shops were in existence and needed a central location from which to buy molds, paints, glazes, and supplies. Dan, being business minded, got things rolling and their company became a distributor for many different mold and paint companies. As more ceramic shops came into existence, business expanded. Dan decided to start a satellite store in Indianapolis, Indiana in 1977. His son, Scott, would run the Indianapolis store. Business in Indianapolis was slow starting because of competition from The Brickyard, which is AMACO's retail outlet. The Brickyard sent people to various ceramic shops in Indianapolis asking the owners if The Brickyard were to set up another retail outlet on the East side (which was where Scott's business was), would they abandon Scott and stick to The Brickyard. Apparently, this didn't go over well, and Scott's business increased. Scott then decided to offer his customers another choice of ceramic slip than Excel which was offered by The Brickyard. 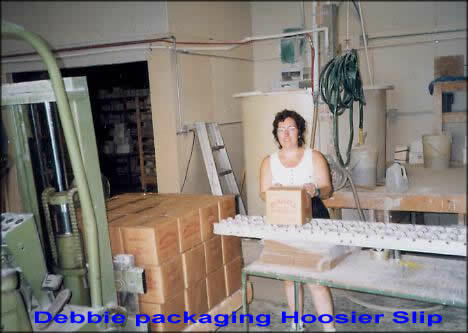 In 1988, he started The Hoosier Slip Company. As a starting point, Scott used Sugar Creek Slip's formula. (Sugar Creek Industries, in Linden, Indiana, decided to get out of the slip business.) It took about a year of trial and error before Scott's own formula was perfect. He began delivering slip all over Indiana and supplied the parent store in Ft. Wayne. Around 1992, the hobby ceramic industry pretty much had reached its zenith and started leveling out. Whereas in 1968 only about 20% of the women were in the general workforce, in 1992, about 80% of the women were employed, leaving less time for ceramics. By 1998, about 90% of the women were working and the women who made a good living in ceramics in the 1960's through 80's started retiring or dying. A few of the big mold companies started folding and Dan and Scott realized that it was time to sell their business. In November, 1998, Dan and Scott found two willing buyers for their business - Don and Barb Case in Fort Wayne and Mark and Debbie Waldo in Indianapolis. Each location was sold separately. The events leading up to this fateful purchase for Mark and Debbie will now be unraveled. Mark was working as a systems analyst consultant and Debbie was working at a factory that makes welding parts. They also raised rabbits as a hobby. 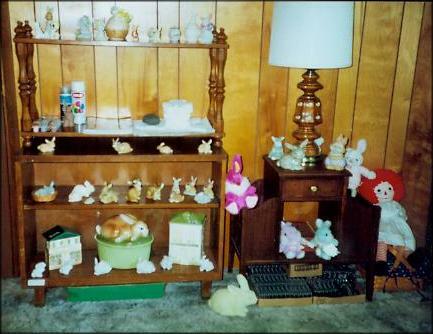 Mark got the idea of selling ceramic rabbits at the rabbit shows. They went all over creation looking for ceramic rabbits, and after buying hundreds, thought, "Why not make them ourselves?" 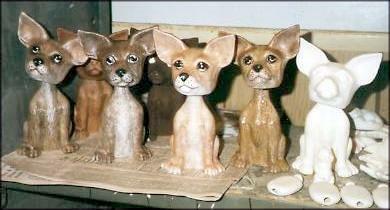 The first thing they would have to do is to find out how to paint and glaze them. They took some classes at The Brickyard. 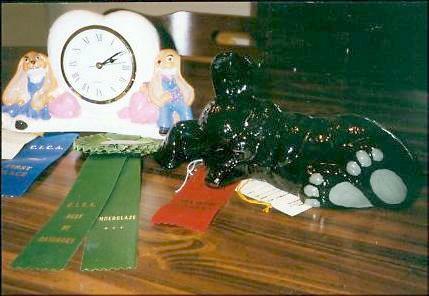 Debbie painted a large black rabbit sleeping and Mark painted a rabbit clock.They won first and second place in the Central Indiana Ceramics Association show. Their daughter, Jennifer, was an assistant manager at a Taco Bell and Debbie thought it would be good to make a chijuajua nodder. They bought a mold and learned how to pour it. They made about 25 dogs and sold them all to friends of Jennifer at Taco Bell. At that time, Grissom Air Force Base near Peru, Indiana was closing its active component and was auctioning off its ceramics shop. Mark and Debbie went to the auction and bought two kilns and 8 skids of molds, thinking to also go into the greenware business. Debbie was driving through Beech Grove, Indiana and came across a ceramic shop that was moving down the street. The lady that ran the shop was Carol Akers. Carol asked Debbie if she needed some shelves, and Debbie enthusiastically said, "Yes!". There went Mark and Debbie's garage! Mark and Debbie started taking lessons at Carol's Ceramics and found out that Indiana Ceramic Supply was going out of business. Mark approached Scott and asked how much he would sell the slip business for. The amount was very reasonable and it made sense to purchase it because Mark and Debbie could not only make their own slip, saving about 50%, but could also sell the excess slip to others because Scott had a loyal following. Mark then asked how much the entire business would cost, and it was also very reasonable. So they struck up a deal. 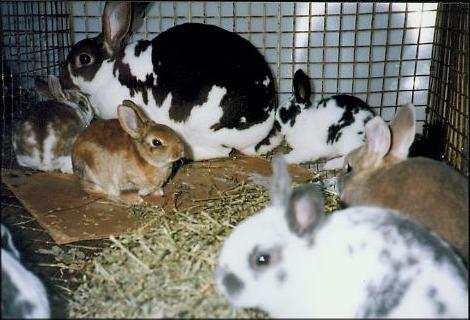 The original concept of selling ceramic rabbits at rabbit shows quickly faded. They now had a big business on their hands. Mark and Debbie were now the proud new owners of Indiana Ceramic Supply in Indianapolis. Within a week of Mark and Debbie buying the Indianapolis ICS, Don and Barb Case bought the Fort Wayne ICS. Mark asked Carol Akers if she would like to close up her Beech Grove ceramic store and move it into ICS. She could then give classes and not worry about overhead. It was a good synergistic relationship. ICS could facilitate classes and have an expert on board to answer any tough questions about ceramics. So Carol and her daughter, Janice, pulled up stakes and moved their shop into ICS in Indianapolis. Shortly after that, a pottery teacher named Jeremy South needed a place to teach pottery. Mark and Debbie welcomed him into ICS to teach his classes. After teaching many students, Jeremy left to teach young people pottery in schools. Because ceramics in general continued to lose interest in the 90's into the 2000's, both the Fort Wayne and Indianapolis businesses did not fare well ever since their aquisitions and both were in jeopardy of going bankrupt. The Indianapolis store did more business than Fort Wayne and was more able to hold on. 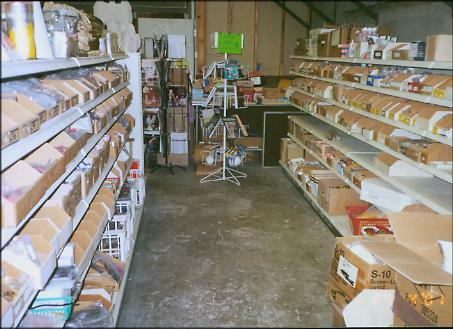 Then, out of nowhere, Laguna Clay Co offered the Indianapolis store a distributorship for all of Indiana which also covered Illinois and Kentucky. ICS would then be able to reach Potters! The pottery business, as a whole, has been steady. The additional line of clay products has provided some extra income, though meager. One of the biggest problems making money with clay from the Laguna Clay Company was that they would compete against their own distributors, selling to whomever called them. They would even sell directly to the customers of their distributors! What could have been a very lucrative business turned out to be only passé. Another problem with clay sales was that when potters came in to buy clay, they would generally buy an average of only two boxes. Whereas, the normal purchase from AMACO (our competitor) or from the Laguna warehouse was 20-40 boxes. We tried to break into the school business but found that most of them would remain loyal to AMACO. In December, 2001, the Fort Wayne store closed its doors forever. That's what happens when your customers do not adequately support you. Don said that his customers started buying their supplies from a company in Michigan that would give everyone 40% off on everything and make free deliveries to boot. Anyone who is in business knows that there is no way you can stay in business by marking up your items only 10% and then driving 100 - 200 miles to make free deliveries. The person who was responsible for this had a heart attack and had to give up his business. 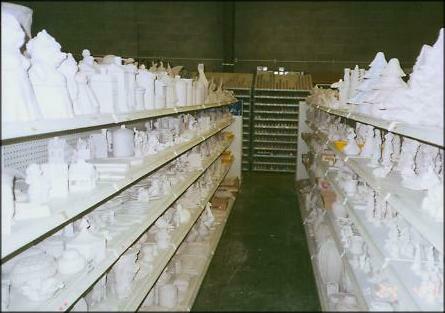 Now with both places gone, the Fort Wayne customers were without a local ceramics supplier. As a result, very few ceramic shops are now left in that area. The bold ones would purchase their supplies from Indianapolis even though it's a long drive and delivery costs are high. Also in December, 2001 the Indianapolis store moved its location from 4355 Sellers St. on the Northeast side of Indianapolis to 1034 E. New York St., which is downtown Indianapolis. It went from a 11,000 sq. ft building to a 21,000 sq. ft, more centrally located facility. The move brought the business into the central arts district of Indianapolis and picked up several new accounts, including Heron School of Art. In 2004, The Brickyard moved its location from Speedway to the far Northwest side of Indianapolis, which made it hard for many customers to get to. After the move, they decided not to carry greenware or bisque on their shelves. These events would seem to have opened the door for ICS to grab many Brickyard customers who buy greenware or bisque regularly. The strange thing though, is that business, steadily decreased in spite of what would seem to have been a windfall. The problem is that every month more ceramic shops go out of business. Instead of the customers who frequented those shops coming to ICS to continue, they simply lost interest in ceramics. The ceramic industry, as a whole, is continuing to decline throughout the United States. In 2006, ICS sales were off by more than 50% from when they first started. More ceramic supplies, shops and mold companies have been going out of business and not being replaced. 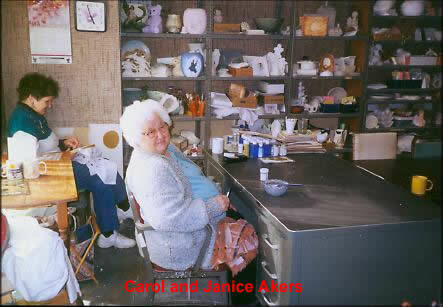 The older people that were the backbone of the ceramics hobby have gotten out of ceramics or have died. In 2006, even the Central Indiana Ceramic Association disbanded due to a lack of interest. Indiana Ceramic Supply tried to continue in business as long as it could even though its officers have never received any money for working 6 days a week. You ask then, "How did they survive?" The answer is: selling their farm, mortgaging their house and maxing out their credit cards. It probably would have been better to go out of business years ago than to put themselves at such great financial risk. Such a financial state as this could not be maintained for long. ICS finally threw in the towel in October, 2006 and closed its retail shop to walk-in customers. As this web site attests, ICS still does business on the internet selling kilns, molds, books, and a few other things. At least now we don't have to worry about overhead. Looking back to the January 2000 edition of Popular Ceramics, Mark wrote an article talking about his and Debbie's "Jackrabbit Start" in the ceramics business, talking about how ceramic rabbits influenced their getting into the business. This article was written before they decided to buy ICS, at a time when they were only going to make greenware. In the article, Mark stated that their goal was to have the largest greenware selection available anywhere. Little did he know just how much the little ceramic rabbits would reproduce and multiply. As of October 2006, ICS had probably the largest selection of greenware and bisque in the U.S., pouring from over 60,000 molds. 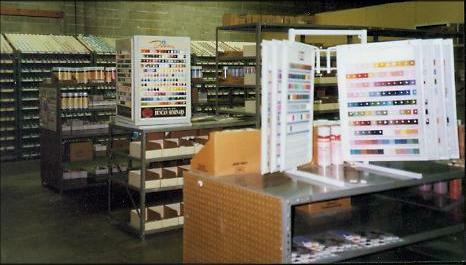 ICS also had one of the largest selection of clays, glazes, and paints in the midwest. And remember - ICS had no employees - just Mark and Debbie! - and several volunteers who would jump in to help in times of great need. As the saying goes, even though we don't know what the future holds, we know Who holds the future. Depending on God to provide all of our needs according to His riches in glory, we will not despair but will follow wherever He leads us. If you are looking for ceramic casting slip, Tomorrow's Heirlooms in West Lafayette, Indiana bought most of our store, including the Hoosier Slip Company and will be continuing to make Hoosier Slip according to the same formula. If you live in the Indiana or Eastern Illinois area, they may make deliveries to your area. Contact them at 765-463-2362 or 765-497-0075 or 765-412-4867. Our current business, run from our living room on the internet, is growing. We now offer more molds from more companies than we ever did. We have the only site in the world that lists so many molds from so many companies whereby you can search for molds using key words. We offer you the ability to order right on line without the necessity of calling or emailing us. We do not stock and ship any products except literature. All other products are drop-shipped to you from the manufacturer. 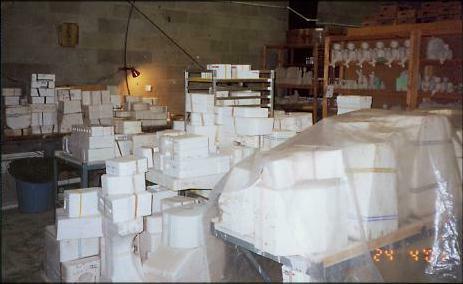 The advantages of ordering from us is one-stop shopping for molds made by many manufacturers, no-risk policy where you know we are good stewards of your funds, guaranteed replacement of molds, kilns, and kiln furniture broken on delivery at no extra cost, our unique mold search capability that spans all of the mold companies to find an item you are looking for, and discounts of 20-25% on all items. If you are interested in ceramics, I welcome you to our on-line store. And I wish you all the best of luck in your ceramic endeavors. © 2003-2012 Indiana Ceramic Supply, Inc.